Prepare your home indoors and out this month and then turn your thoughts toward engineering a stress-free Thanksgiving. The Halloween decorations have been cleared out and there’s a bracing chill in the air—time to get ready for winter! This is the month to make sure the fireplace (and heating) is in good working order, to celebrate the colors of the season, and to get ready for the big holiday meal to come. 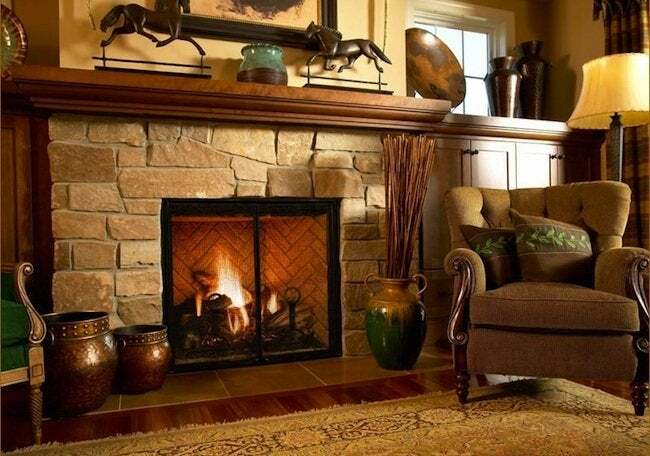 Before you light up your fireplace to take away the fall chill, take a moment to give it a quick inspection to make certain everything is in working order. Begin by checking the brickwork in your fireplace for wear. Check the damper, as well—it should open and close easily. Look into the smoke chamber above the damper to see if it has a buildup of soot. Open the clean-out door, which is located either in your basement or outside the house, and empty out any ashes or other debris. Using a small mirror and flashlight to see up the flue, look for soot buildup and also any cracks, holes, or separations. If in doubt, call in your chimney professional for a good cleaning and checkup. Inside the house, check the area around your chimney for any stains or dampness. These could be caused by faulty flashing around the chimney at the roofline, or by a damaged flue liner. If you see signs of water around your chimney, make sure to have it repaired before winter sets in. From outside, visually assess the chimney. Is it leaning? Are there any chipped bricks or missing masonry joints? Do you see any cracks or holes? If your chimney is factory-built metal, look for any corrosion, stains, or loose sections. If your chimney is exposed in your attic, make sure to check there as well. Look for any signs indicating that repairs are necessary. A good cap can reduce damage caused to a chimney by water and wildlife. Rain and snow can enter an uncapped chimney and subsequently freeze and thaw, causing expansion damage. Small wildlife can nest in chimneys, clogging them and potentially introducing fleas, ticks, worms, and other pests into the home. A chimney cap with screen mesh will keep animals out, while shielding your roof from embers and sparks. A chimney professional can spot things that even a diligent homeowner could miss. Call on a pro to do regular cleaning and safety checks as a part of your home maintenance routine. Then throw another log on the fire, sit back, and enjoy the warmth. It doesn’t take much to bring the natural beauty of the season indoors. Fill a bowl with acorns and pinecones to admire, cut leaf-covered branches to decorate a table, or create an autumnal wreath to hang above the mantel—or outside on the front door. 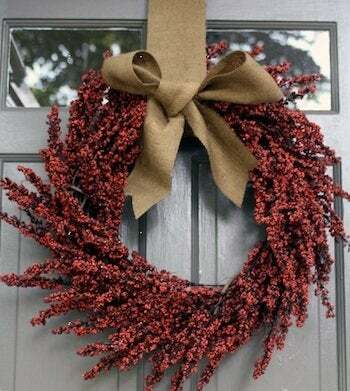 You’ll find plenty of clever ideas in Budget Decor: 10 Ways to Dress Up Your House for Fall. A small crack or one leaky window might not seem like a big problem, but taken together, your home’s small drafts can add up to lots of wasted energy dollars. Seal any gaps around electrical outlets, ducts, windows, and doors with foam sealants, caulking, or weatherstripping. On the outside of your house, use caulking to seal anywhere different materials meet, like between the siding and the chimney, window and door frames, and at the foundation. Even small gaps around cables, lighting fixtures, spigots, electrical outlets, dryer vents, and air conditioning pipes can add up to big air infiltration problems and compromise your home’s thermal efficiency. To fill large gaps, expandable polyurethane foam works best, but use it sparingly since it can over-expand (and it’s a greenhouse gas producer as well). Water-based expandable foam works well in small cracks and won’t over-expand. If you haven’t done so already, this is the time to winterize your seasonal equipment. Drain fuel from lawn mowers, leaf blowers, and chain saws. Cover and store outdoor furniture and barbecues in a protected area. And, be sure to empty out pots, containers, and planters, as soil left in clay pots outside can freeze and cause the pots to crack. Disconnect and store your garden hoses. If your home has a separate shutoff for external spigots, turn it off and drain the water from those spigots. If you have a sprinkler system, you may want to call in a professional company to blow out any leftover water in the underground lines. If it snows where you live, check to see that all of your snow equipment is close at hand, fueled up, and ready for use. That includes snow blowers as well as shovels and roof rakes. Did somebody mention turkey? If you are the one preparing the big meal, make your life easier by planning ahead. Clear countertops and empty the fridge so that you have ample space for food prep and storage. If you are worried about getting everyone around the table, look for ways to maximize your dining room. A makeshift buffet will reduce the number of serving pieces and food on the dining table, providing a much more enjoyable experience. A bench seat—at least on one side of the table—can provide more comfortable seating than tightly arranged chairs would. And, despite the psychological repercussions, a separate kids’ table is certain to be less hassle for you and more fun for them, so take it into consideration. Happy Thanksgiving!